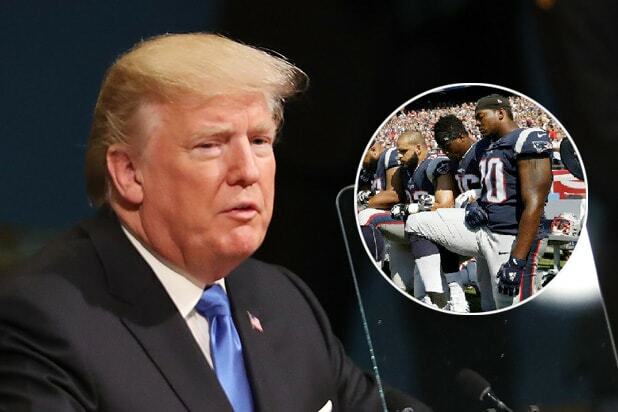 White House press secretary Sarah Huckabee Sanders defended President Donald Trump’s weekend remarks about NFL players taking a knee during the national anthem by saying that they should protest officers on the field, instead of the American flag. 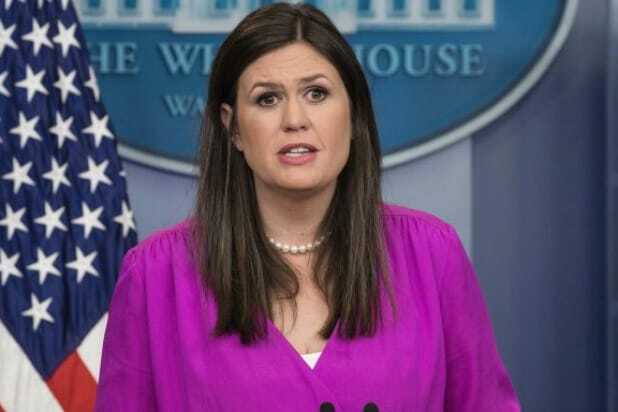 “I think if the debate is really for them about police brutality, they should probably protest the officers on the field that are protecting them instead of the American flag,” Sanders said during a press briefing Monday. The answer came in response to a reporter questioning why the president would take white nationalists at their word that their protests were about “heritage, not hate,” referring recent events in Charlottesville, Virginia, but “why is there this disparity about who gets to decide what protest is about?” the reporter asked. Sanders later said she was not advocating that players protest on-field officers, and did not detail what such a protest would entail. Speaking at a rally in Alabama Friday, Trump called for NFL owners to fire any players who kneel during the national anthem. “Wouldn’t you love to see one of these NFL owners, when somebody disrespects our flag,” he said, “to say ‘get that son of a b–h off the field’ right now, out! He’s fired? '” The president went on to double down on those comments in subsequent tweets over the weekend. Sparked by the initial protest by former San Francisco 49ers quarterback Colin Kaepernick, NFL players, coaches, owners and commissioner Roger Goodell issued responses to the president’s comments and participated in widespread protests ahead of Sundays’ games, including kneeling, locking arms or even staying in the locker room during the singing of the anthem. “I think the focus has long since changed and certainly the message in a lot of what has been communicated over these last several weeks through this process, through these protests by these players,” she replied.